Recently my wife and Casey started taking Chinese lessons at a nearby university. While they are excited by how quickly they are starting to pick up on the basics of the language, they’re also finding it difficult to keep up with all of the new characters. It’s the exact same problem I had when I started. After two years of Chinese classes in college, I went to study at Beijing Language and Culture University for a summer. My listening and speaking skills were great, but I was practically illiterate. I ended up in the “heritage learner” class, which meant I was the only person there who wasn’t ethnically Chinese. The class consisted of reciting sentences one by one while the teacher made corrections, which it was incredibly boring, but the textbook we used was what saved the class from being a complete waste of time. The author of the series, Zhang Pengpeng, has a unique approach to teaching Chinese that made it much easier for me to learn. He argues that teaching students how to speak and write at the same time is ineffective, because the characters provide no assistance in the pronunciation (compared to a language like Spanish or Korean). This idea of teaching the character with every new vocabulary word proves to be a stumbling block for many learners, since the oral part of the class usually drives vocabulary. Zhang says that by teaching them separately, both can be taught in a more systematic approach. The typical approach to Chinese learning forces new students to learn a sound, a meaning, and a character for each new word. Zhang’s approach allows you to first tie a sound with a meaning using pinyin (the phonetic transcription for Mandarin), and then later connect a meaning with a character (which you already know the phonetics for). Using this method, I was able to learn 750 characters in 6 weeks, which gave me enough to read nearly 1,300 words (some words are combinations of more than one character). If you are learning Chinese you may also want to read my posts on the topic: It’s Easy to learn Chinese – Really, Why 10,000 characters is easier than it seems, and Compound words, more of a puzzle than a problem. His textbooks can easily be found on Amazon.com (about $10 a piece) or in foreign language bookshops throughout China (this is the cheaper option). If you’re an absolute beginner, you should start with his first book, Intensive Spoken Chinese . The book focuses on very practical, short dialogues with many fill in the blank type activities, and concise grammar points. Instead of trying to teach you only characters, it uses pinyin throughout, which makes Chinese practice less intimidating. When my wife and I first arrived in China, this was the book I hunted down. After working through the lessons in the book she had enough basic Chinese to survive daily life (shopping, taking a cab, sight-seeing, etc.). The second book in the series, called The Most Common Chinese Radicals , focuses on systematically introducing Chinese characters. This allows students to better comprehend how characters are formed, and gives them the foundations needed to guess the meaning of new characters. This is a skill that many Chinese learners struggle to grasp when using traditional textbooks that don’t separate writing from speaking. This book helped me to stop seeing characters as a mess of strokes, and start seeing each part as a smaller unit that imparted either meaning or pronunciation. The final book, Rapid Literacy in Chinese , is the final one in the series. The idea being that the student already has basic speaking abilities and some understanding of how characters are created; now they simply attach that knowledge to the correct character. Each chapter introduces 30 characters, along with their meaning, pronunciation and a list of compound words they form with other characters you already know from the book. It also provides a dialogue and paragraph that allow you to review all thirty characters. The idea is that by the time you finish this book, your level will be high enough to start reading simple news articles. While each book can function on its own, the series allows you to develop the skills for continuing to learn on your own. If you are just starting Chinese or need a refresher, I hope you will check out this series. By T in Uncategorized on October 4, 2011 . I love “Integrated Chinese” I think they are amazingly good. Zhang pengpeng is the absolute sh–! I clicked on this post for the sole purpose of recommending his stuff, only to find myself in good company. And, the passages in his books are always interesting, if occasionally ‘nuanced’. 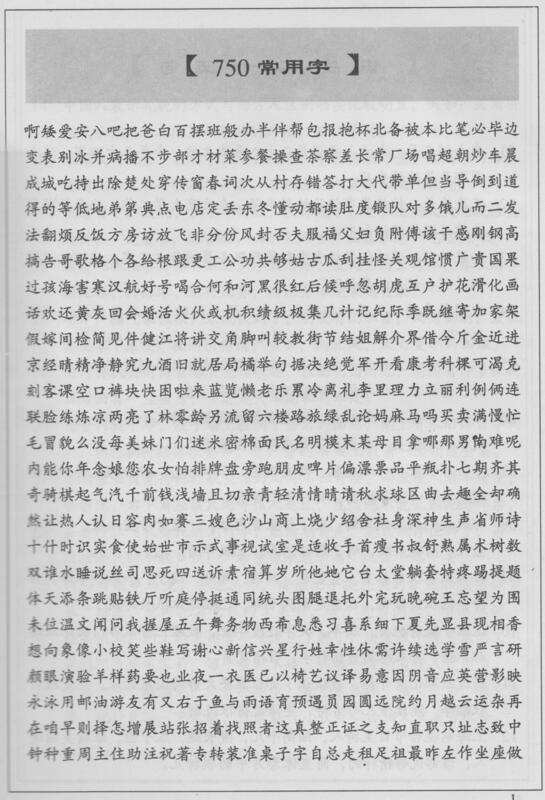 So many chinese texts for learners are dull or cheesus maximus. He cowrote ‘a key to chinese speech and writing’ which is rad. The standout element of his pedagogy is how he repeats previously taught material so that everything builds on everything. He needs to be in a southpark episode. Thanks for these! One day I came across the “Berlitz Basic Mandarin Chinese” book and CD in my library and tried it out for fun. I found it pretty easy to follow and understand. A few weeks later I found the “Teach Yourself Mandarin” book and CD on sale in a local used bookstore and wasn’t as impressed with it as I was with this series when I had to use it to learn Bulgarian (although I found it a little better than for when I had to learn Korean). I am now in a beginners’ Mandarin adult ed course and we are using “Integrated Chinese” but not with the CD, so I don’t know how I feel about it. But I do want to recommend DK’s Visual Dictionary in Mandarin to help with seemingly random but necessary vocabulary (it has English, pinyin and characters)! In a native environment, with good textbooks that make the most sense, hey, nothing beats that! One thing to remind Monsieur Casey and Mrs. Tom about the essence of language learning: SOUND FIRST! HEAR THE SOUND, MAKE THE SOUND, REPEAT THE SOUND, SOUND, SOUND, SOUND before and above meaning, the written form and everything else. I learned English the mute way and I am still suffering from the damage it had done to me. Thanks for the recommendation Tom. I will check this series out. In my classes we used Integrated Chinese, and now I am in a Conversation Class. For me I have the opposite issue – I can read and write Chinese ok (although writing is of course much more difficult), and I can even speak some, but listening and understanding is much more difficult. I need to practice listening a lot more! BTW: I want to thank you a lot for all of the great articles you and your co-bloggers post. I’ve learned a ton about China and Chinese culture from you! This sounds interesting and I will definitely have to take a look at it, although to put it into perspective, the US military traditionally taught Mandarin without characters for decades since around WWII, as reading and writing skills were not as central to the needs of military personnel, and it has long been known that the language (the Mandarin dialect at least, or other individual dialects) can be mastered much more quickly this way. The earliest modern Chinese academic instructional programs, such as that which emerged at Yale University in the late 50s and early 60s were strongly influenced by the Defense Language Institute method. I keep hoping the FSI series (which are free lessons from the US government) will be updated. The introduction still teaches “tongzhi” / comrade as a common greeting… that’s not only wrong, but the term has evolved to mean something very different. The best tool I’ve found for learning any language is an iPod. Besides audio lessons, there are some very good flashcard programs for learning the characters. I can never quite convince myself that it’s worth paying the money for textbooks. The only thing they really provide is structure, but I think you can create that yourself and often find the process more interesting as a result. If they come with listening materials that’s a bonus, but I do think the core content of textbooks themselves is now covered for free by online resources. Yes Zhang Peng Peng really is the sh*t! I love his book. Being already semi fluent in Chinese, but basically illerate I decided to use the book teaching the characters by the radical and then the second book, rapid Chinese literacy. They really DO teach the system behind the characters and it makes learning new characters just so much easier. That being said, it was still quite a bit of work to memorize the first book. But anyway, I still love it and now I’m reading Animal Farm 动物农场 in Chinese! Oh, and by the way, I have quite a fair of other books about characters, but Zhang Peng Pengs books are the best!